Gov. Sourced Website Proves End Is Near! Can You Explain This? 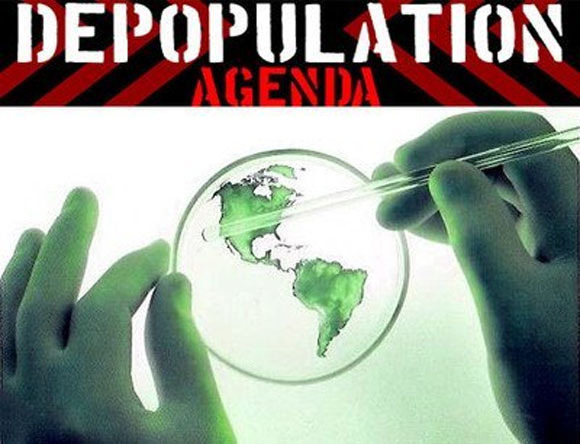 With Obama Ebola ‘Czar’ Ron Klain now officially exposed as calling for ‘depopulation’ as an answer to the world’s biggest problems as shared in the 2nd video below, we have been emailed a tip that should help prove to all doubters that ‘the end is near’ as shared in the 1st video. 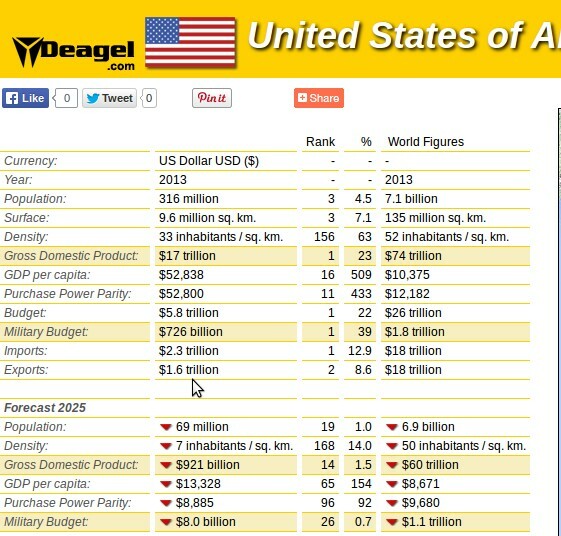 Among the list of countries on Deagel.com, a US government sourced website, pertinent data for the US now and in 2025 is enough to make EVERY American become a ‘conspiracy theorist’. If anyone has a rational explanation for why the population of the US is supposed to DROP 78.2% from 316+ million now to ONLY 69 million people in 2025, we’d love to know the answer. If anyone knows why our military spending will drop in 10 years from $726 billion dollars to $8 billion dollars in 2025, please explain. Is there a reason why our GDP per capita will be dropping from $52,838 to $13,328 by 2025? Inquiring minds surely want to know…and we deserve answers! 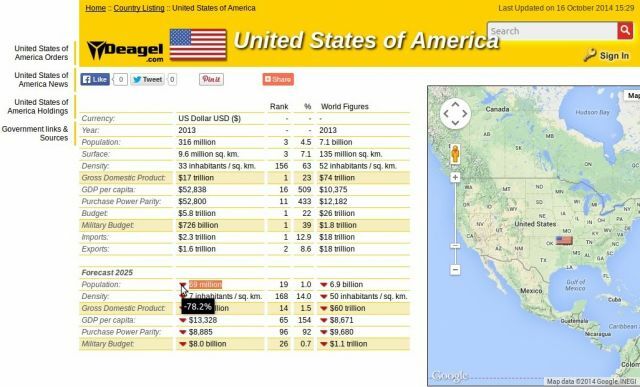 Check out the data for the US on Deagel.com yourselves; any ideas what we are witnessing? Is this proof of depopulation? If not, why the huge forecasted drops? Please contact the White House at 202-456-1111 or your Congressional Representatives via phone call or email here for answers.